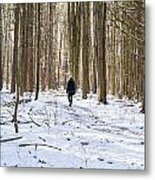 Winter Hike by Tim Fitzwater - 8.000" x 5.750"
Winter Hike art print by Tim Fitzwater. Our prints are produced on acid-free papers using archival inks to guarantee that they last a lifetime without fading or loss of color. All art prints include a 1" white border around the image to allow for future framing and matting, if desired. 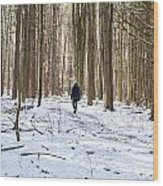 There are no comments for Winter Hike. Click here to post the first comment. 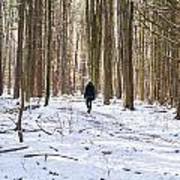 A hiker in the Cuyahoga Valley National Park on a snowy afternoon. I am mainly a commercial photographer based in Akron, OH. I shoot and light portraits, product shots, and events - but I don't leave my camera at home when pursuing my love for travel and the great outdoors. 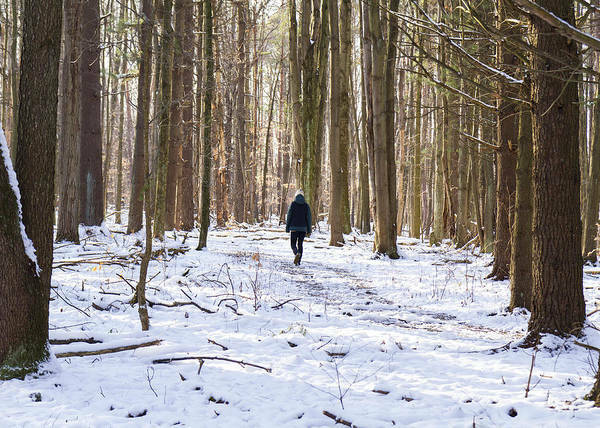 I spend tons of time in the Cuyahoga Valley and on photo walks in Akron. Friends and family started to request some of these photos to hang on their walls - so I joined FineArtAmerica to be able to offer prints in a simple manner.